All the water sport lovers out there will know how important it is to be kitted out with the right sportswear, as it can make or break the entire experience. 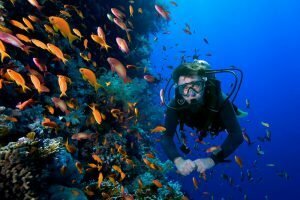 Rash guards are the perfect vests to wear during many water sports, and are often worn during scuba diving, swimming, canoeing, wakeboarding, wind surfing, kayaking, and a number of other sports. These vests work to protect the wearer from any rashes, sunburns, or water irritants. 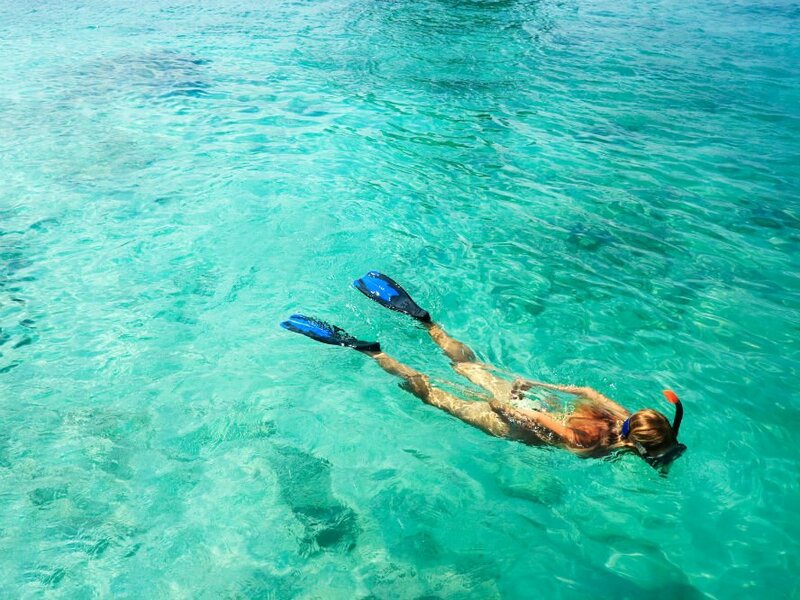 Without a rash guard, wearers are more exposed to all of these factors, and therefore their time on the water may not be as pleasant as they hope. Good quality rash guards come in many different styles and designs, and often it can be quite a challenge to find the right one which is suited to you. Not to worry, as in this article, we have five of the best rash guard reviews to show you, some for women and some for men, which will hopefully give you a better idea of what is out there on the market at the moment. 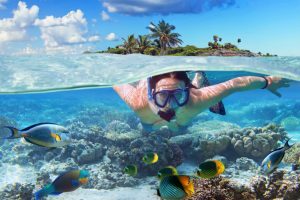 To begin with, we will briefly look at the benefits of wearing a rash guard when out on the water, in order to let you decide if a rash guard could be beneficial to you! 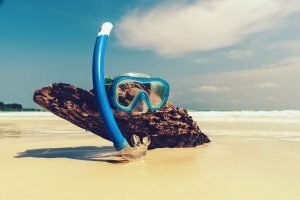 Preventing Rashes – When performing rough sports in the water, it can often happen that due to abrasion of the skin against the water, rashes will start to form on the skin. This is where rash guards are specifically helpful as they protect the skin by providing an extra layer which stops rashes from occurring altogether. Strong sunlight can also cause this abrasion to happen on the skin, and as the same time burn the skin as you carry out your sport which can be extremely dangerous. To avoid this from happening, a rash guard can be worn and will protect you the entire time, improving your experience on the water. Most good quality rash guards feature high UV protection, which guarantees your skin safety. They protect against common water irritants – Another great benefit of wearing a rash guard is that they protect you against any harmful water irritants. This could be for example, jellyfish stings or bites or any other irritant present in the water, including chlorine. This will give the wearer complete peace of mind when carrying their sport out in the water, with less fear of being bitten. Rash guards also help prevent any irritation from rapid impact with strong waves and surface water. They can be worn under a wetsuit or by themselves, and some even under surf shorts for surfers. Now we will take a look at five different rash guards, which will hopefully give you some inspiration to find the right one for you! O’Neill offer a fantastic rash guard for women with their basic skin’s UV 50+ design. This features a performance fit and comes in a variety of different color options. We take a look at its features in more detail below. A few customers said that the sizing was a little off and that it would be recommended to order a size up. Rash guards are great for keeping you safe from abrasion and sunburn, and O’Neill’s top has all of that under control. You will be delighted with this top which is both comfortable and remains stylish at the same time. Thanks to the strong UV 50+ protection featured in this top’s design, you no longer have to worry about getting burnt while performing your favorite water sports. This top will keep you protected against any sunburn as well as harmful UV rays. O’Neill’s rash guard is made with strong elastane and polyester which is completely breathable, allowing you to move with ease. The rash guard also fits like a second skin so the wearer will not feel like they are even wearing it. The performance fit makes it extremely comfortable and stretchy to fit most shapes. The long sleeve rash guard by Speedo for Women is another ideal must have for your water sporting needs. This rash guard features a more environmentally friendly design as it is made with recycled materials. Let’s take a look at it in more detail below. A couple of customers complained that the sizing was off and that the sleeves stretch quite a bit. Speedo are experts when it comes to swimwear and their power flex rash guard is no exception. This rash guard for women features an environmentally friendly design and features fabrics which are quick drying! The power flex rash guard by Speedo features a design of 78% Econyl which is recycled Nylon. This is also 22% part Lycra and Xtra lite fiber. This makes it 30% more resistant to any fiber breakage in chlorine, making it better for swimmers as well as the environment. It also retains its shape up to 10 times more than standard fabrics. The best feature of this rash guard is its UV 50+ sun protection. 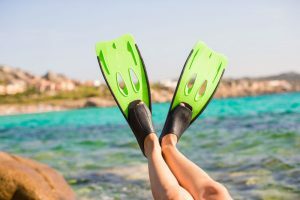 This means the wearer will not risk getting burnt while carrying out their preferred water sport as their skin will be shielded. The durable material also allows easy movement and a good amount of stretch. The Women’s long sleeve rash guard by Scubapro is another good quality top which will satisfy all water sportswomen. This is a flexible 4-way stretch fabric, meaning it’s great for many sizes. We take a look at more key features below. This product doesn’t have many bad cons, just that the sizes run a little on the small side. Scubapro provide a long sleeve rash guard which is highly flexible in terms of fit, and features a high UPF of 50+, ensuring the wearer is kept safe from harmful sun rays. The Scubapro rash guard is designed specially for females and provides a figure hugging fit. This makes it comfortable and still highly feminine looking at the same time. The long sleeves feature thumbholes to allow for more security when in the water. With this jacket you no longer need to worry about abrasion and getting a rash as it was designed to prevent any rashes from occurring, and does it well. The high quality of the fibers used are soft on the skin and keep it covered and well protected. 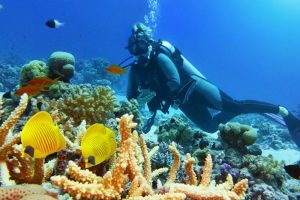 As well as this, the Scubapro rash guard protects against harmful UV rays as well as any marine bites or stings which can possibly occur in the water. Not only is the amber rash guard extremely comfortable, but it is also stylish and trendy. Females will love this rash guard for its functionality and its beautiful, feminine design! It also comes in two colors, Amber and Black Purple. The penultimate rash guard on our list is the men’s basic skin by O’Neill Wetsuits. This is a durable top which features ultraviolet protection, and is perfect for surfing, swimming, boating and much more! Let’s take a look at its key features below. Customers complained that the sizing was a bit off and the quality of the top somewhat questionable. The men’s polyester rash guard T by O’Neill is another great choice for all your water sport needs. It is a high quality designed top with so much to offer. O’Neill has created a durable rash guard which is composed from 6oz Polyester and Spandex which offers the wearer a 4-way stretch. This means it can fit most body shapes nicely and is still breathable at the same time. It features a safe UPF of 50+ meaning wearers are well protected from any harmful sunrays and can feel relaxed out on the water. The O’Neill rash guard is super comfortable thanks to the design features it has. The top comes in a slim fit making it fit naturally to your shape without being too tight. In fact, the material is extremely lightweight and breathable, allowing the user to move with ease and without fear of being restricted. 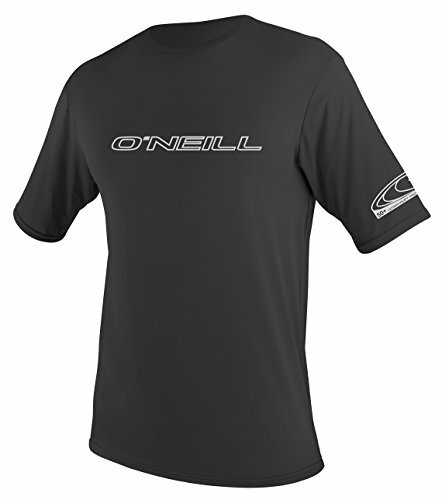 If you would like to order a few different color options, then not to worry as the O’Neill rash guard top comes in 17 different colors giving the buyer a very nice selection to choose from! The last rash guard for men featuring on our list is the men’s lycra rash guard from Ubestyle. This is another highly durable rash guard which is well suited to a number of water sports. We take a look at its features below. The zipper was said to be weak and the material see-through which some customers didn’t approve of. The Ubestyle rash guard is the perfect product you need when out on the water. This is a durable and strongly designed rash guard which even features a neoprene wetsuit layer for extra added protection. In comparison to the other rash guards on our list, this is the only one which features a full-body design. 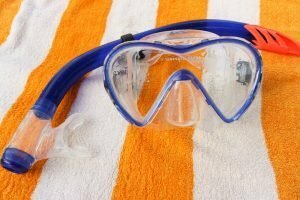 This means it offers a lot more protection and helps keep the body super protected when in the water. It also protects from any common water irritants such as bites or stings, giving the wearer much more peace of mind when carrying out their preferred sport. 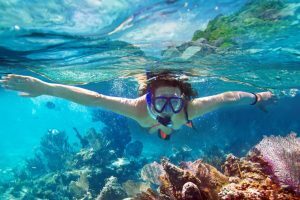 Its full body coverage makes it a good candidate for all water sports including, swimming, scuba diving, snorkeling, and much more! No matter your sport, this rash guard will keep you safe and comfortable. The Ubestyle rash guard also features a very snug fit. This is thanks to the naturally form-fitting Lycra material which it is made of, and which assures a perfect fit every time. It also protects from harmful UV rays, both underwater and above, keeping the wearer cool and protected no matter the temperature. In cold temperatures, the base layer adds an additional warmth to keep the body temperature in performance range. Rash guards are definitely useful when it comes to performing water sports, and can certainly help you to better protect your body from the water and sun. If you are shopping on a budget, then perhaps you would be interested in finding the most inexpensive rash guard. 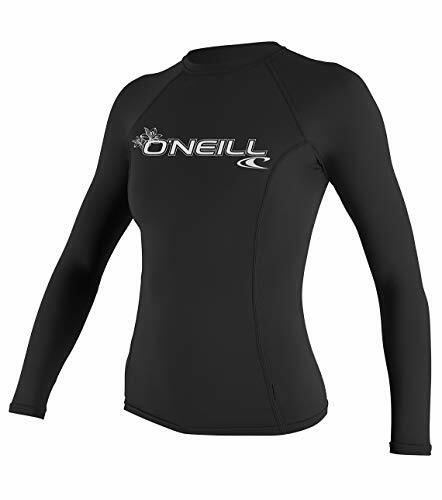 From our list, the most inexpensive rash guard for women would be the basic skin rash guard by O’Neill. This features a fairly good price for the quality and is very durable. For men, the most inexpensive rash guard is the full body rash guard by Ubestyle. This one also comes in at a fairly inexpensive price in comparison with others, and is extremely comfortable. All in all, we believe all of the five rash guards featured on our list would make a great choice for your water sport needs. We hope this article has been helpful and that you will be able to find a good quality rash guard soon!